Blacklip mother of pearl, etched with a daisy pattern around the edge. Two-hole attachment. 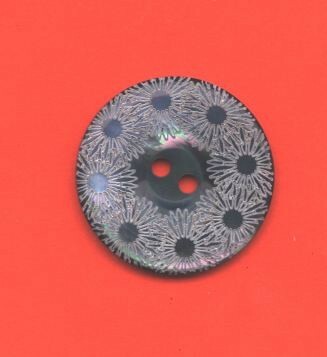 Size 36 (18 mm or 7/8 inch), wonderful for a fancy cardigan. This is a very feminine and different look.